Production facilities, underground constructions and shafts, tanks and containers, as well as transport and filling facilities for various chemical semi-finished and finished products, can be sources of human and environmental hazards in the event of leakages and must therefore be monitored frequently. Therefore, leak reporting systems with design approval are in many cases a basis requirement for operating permits. 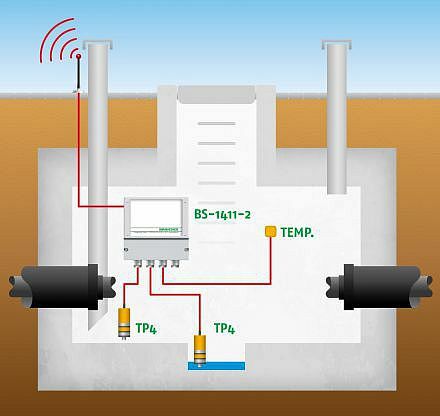 Early leak detection and locating systems by BRANDES have been granted design approval under water law by the German Institute for Construction Technology (DIBt Berlin) and meet the requirements of operating permits. BRANDES is also a specialist manufacturer monitored by TÜV Nord in accordance with § 19 I of the Water Resources Act (WHG). BRANDES uses its tried and tested NiCr sensors for small, medium-sized and large facilities.